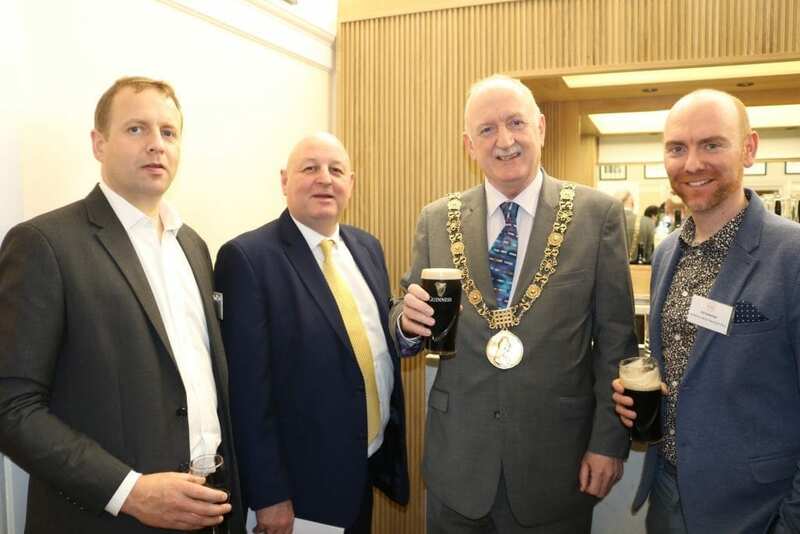 DublinTown members attended the first in a series of networking events to discuss Perspectives on the Future of Dublin City. 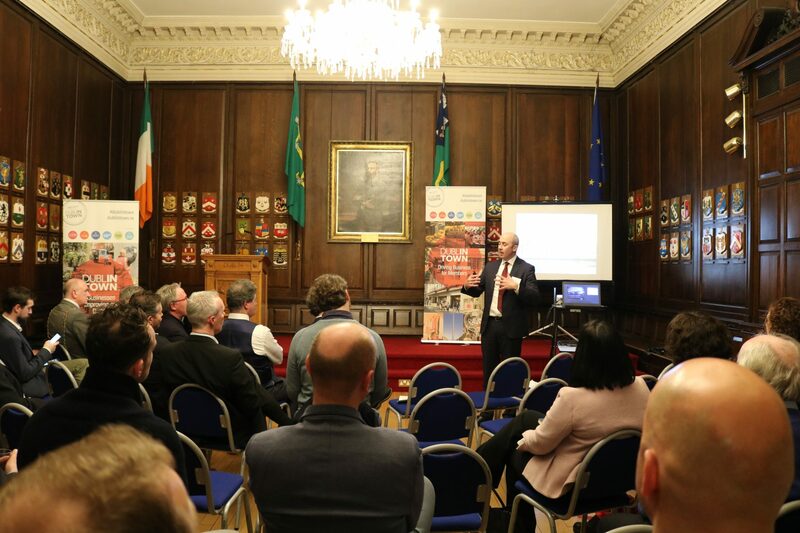 On Wednesday evening, 16th of January, the first in a new series of DublinTown networking events took place in the historic surroundings of the Mansion House on Dawson Street. The Lord Mayor of Dublin, Nial Ring was on hand to welcome guests on the evening and also took part in the discussion on ‘Perspectives on the Future of Dublin City’. 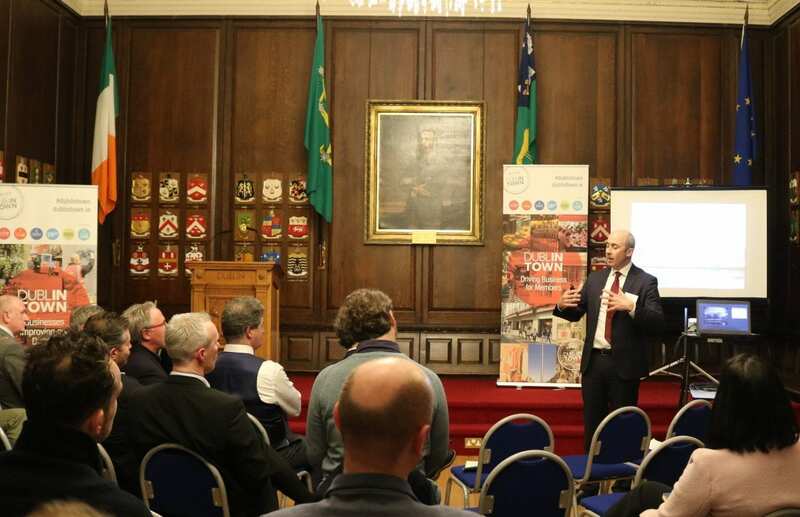 Working with Common Purpose, DublinTown invited two very insightful speakers to share their perspectives on city and its future. After a welcome from the Lord Mayor,and from DublinTown CEO Richard Guiney the first speaker of the evening was Kevin Nowlan, the CEO of Hibernia Reit who are responsible for major developments such as the Windmill Lane Quarter and 77 Sir John Rogerson’s Quay among many others. Kevin outlined the changing nature of large scale investment in the city and also highlighted what he saw as the challenges in developing within the city centre. The second speaker of the night was Sean Harrington. Sean is an architect and principal of Seán Harrington Architects based on Capel Street. In his 15 years of business, he has developed a distinctive contemporary design language, based on sound environmental principles and a deep understanding of technical matters. Projects include The Millennium Bridge and the Meeting House Square Retractable Roof. In his section of the talk Sean outlined how other European cities like Helsinki and Vienna had addressed issues like housing and homelessness, how there are numerous ways to increase housing density and also stressed the primary importance of public space for a city to thrive. 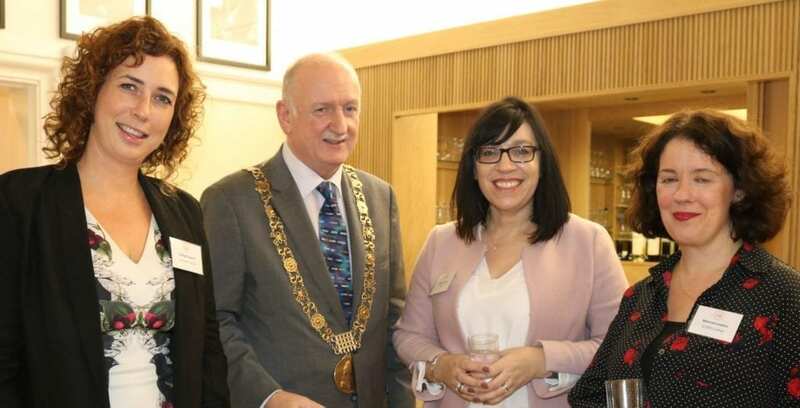 Dara Connolly of Common Purpose chaired a lively discussion afterwords with both speakers as well as Lord Mayor Nial Ring and Richard Guiney. 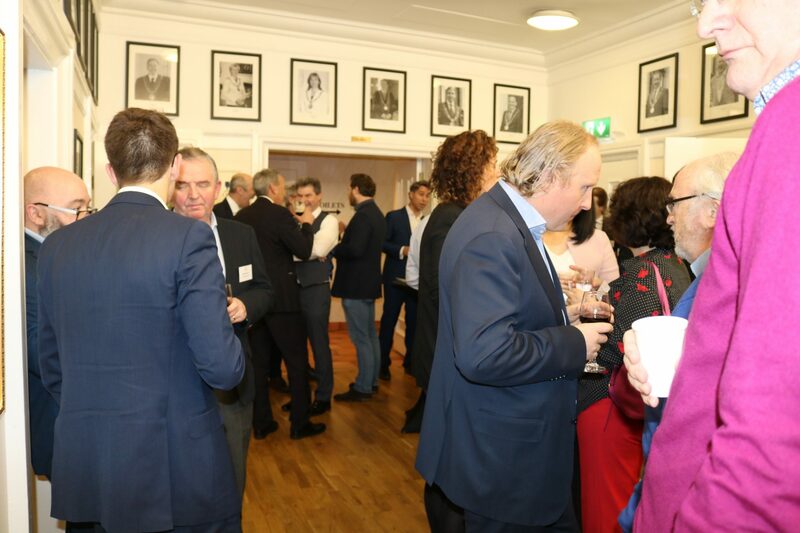 Attendees were also able to relax and chat after the event and enjoy the splendid hospitality of the Mansion House. 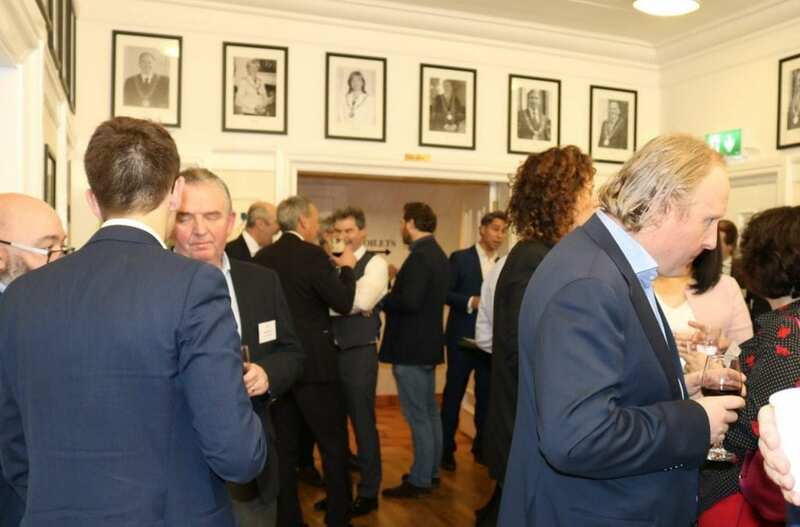 The next DublinTown networking evening will take place in April.